Athletes have widely recognized the importance of adequate sleep for recovery and performance, and studies support what athletes know from hard-earned experience: Sleep deprivation can lead to more injuries and a reduction of muscle glycogen stores. It can also inhibit recovery of damaged muscles after training bouts; alter glucose metabolism; impair cognitive tasks and psychomotor functions; and lower immunity to illness. Sleep, in other words, is vital to recovering from training, and to performing well on race day. But the very nature of some ultra-distance events, such as ultramarathons and ultra-triathlons, places athletes in a state of sleep deprivation that can negatively impact race performance. Ultramarathons of around 100 miles, for example, typically involve racing through at least one night. 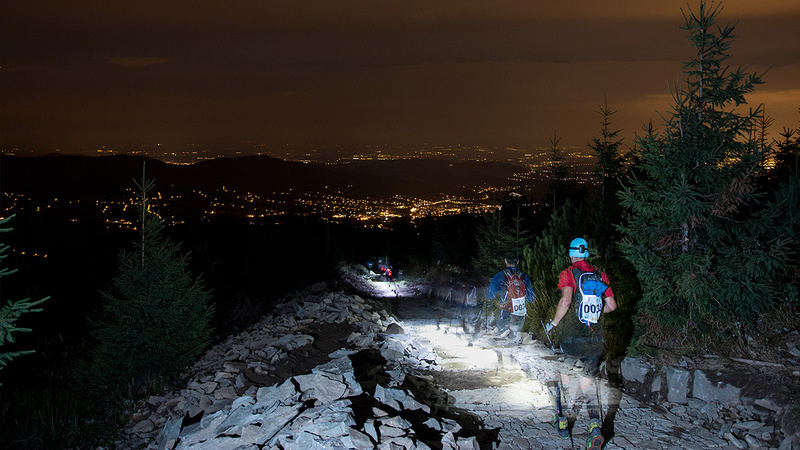 In the popular Ultra-Trail du Mont Blanc (UTMB), most finishers miss two nights of sleep before completing the course within the allotted time of 46 hours 30 minutes. Multi-day races, like the Marathon des Sables, extend sleep deprivation over several days. Athletes involved in these types of events need to prepare in advance to handle nights with little to no sleep. If you’re planning to participate in an ultramarathon, what strategies should you use to deal with the inevitable sleep deprivation and set yourself up for your best performance? According to recent studies on sleep and athletic performance, sleep extension (extending the amount of sleep you get) in the week or two prior to your ultramarathon—also known as sleep banking—can counteract some of the negative effects of the sleep deprivation you will experience. 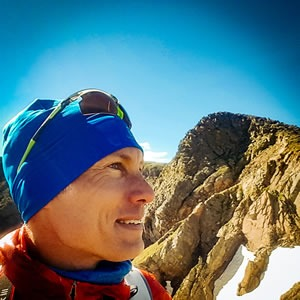 In a 2018 article in PLOS One, Tristan Martin and colleagues examined the sleep habits and strategies of runners competing in the UTMB. They found sleep extension in the days and nights prior to the event to be the most common strategy that runners used to prepare for the sleep deprivation they would encounter. Notably, those runners in the study who engaged in pre-race sleep extension finished the race faster than those who did not. This result aligns with other research findings, including a 2016 article in Medicine and Science in Sports and Exercise by P.J. Arnal and colleagues, that show the benefits of “banking sleep” prior to periods of sleep deprivation. Additional research has shown that sleep banking not only improves performance, but also speeds recovery after periods of sleep deprivation. Martin and colleagues speculate “that the longer the exercise, the greater the benefits that can be derived from sleep banking.” This means ultramarathoners who compete in events that span one or more nights stand to gain the most from pre-race sleep extension strategies. As a coach, I often advise athletes tapering for an event to take advantage of reductions in training time to squeeze in some extra sleep. This strategy should be even more central to an ultramarathoner’s final weeks of preparation for an event. Good sleep habits help ensure that you bank that extra sleep and get quality sleep prior to the event. If you’re having trouble adjusting to an earlier bedtime, strategically timed melatonin supplements can help phase advance your circadian clock (that is, move your bedtime earlier). Take melatonin in the late afternoon or early evening—as opposed to right before bed—for maximum effectiveness; otherwise you may instigate a phase delay in your circadian clock (that is, move your bedtime later). Complement this with exposure to full-spectrum light upon waking in the morning. Caffeine’s impact on sleep is also worth emphasizing. To help you bank sleep prior to your event, completely eliminate caffeine from your diet for two to four weeks. This will make it easier to engage in your sleep extension program in that final week or two. Eliminating caffeine from your diet will also translate into a bigger boost from the caffeine you ingest during the event itself. If completely eliminating caffeine from your diet for a few weeks is out of the question, then avoid drinking coffee or ingesting caffeine beyond the morning hours. A 2016 study in the Journal of Clinical Sleep Medicine found that drinking coffee even six hours prior to bedtime can reduce sleep by an hour or more. Slow caffeine metabolizers are especially susceptible to disrupted sleep from caffeine ingestion later in the day. Sleep extension holds valuable recovery and performance benefits for all athletes, but ultramarathoners may gain the most by banking sleep prior to events that involve racing through the night. As you approach your next ultramarathon, be sure to build extra sleep into your training plan during the final week or two. Your race performance—and post-race recovery—will benefit.